Julia's Cards: Oh So Pretty! 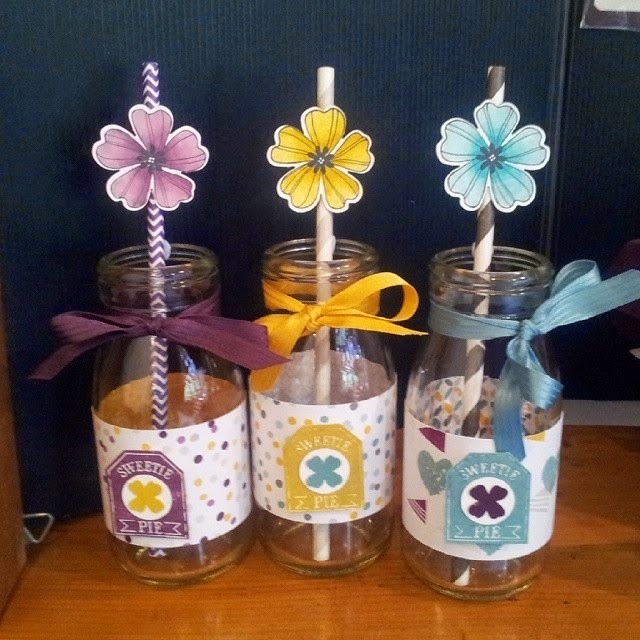 I made these milk bottle decorations for my display at my new Catalogue launch. I used the Paper Stack - Moonlight which as three of the new InColours - from left to right - Blackberry Bliss, Hello Honey & Lost Lagoon. I coloured the flowers (from Flower Shop set) with our new Blendabilities and used a stamp from Num-Num and added the matching stripped satin ribbon. Awesome. Have a stack of these bottles and love your idea. TFS.